There are many Rolex watches for different occasions, activities. 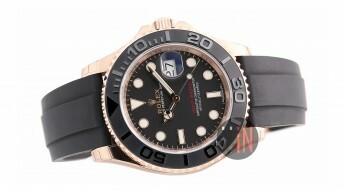 But, if you were looking for a Rolex “workhorse”, with a more casual demeanor. A model that could fit in on a classy occasion, as well as a sporty outing. A model that has served as a building-block to more elaborated models, such as the: Rolex Submariner, Rolex Daytona and others. That model would be the: Rolex Oyster Perpetual, originally launched back in 1926. A simple, yet quality guaranteed watch for those who aren’t collecting timepieces, as much as they just desire a “good watch”. And, of course it’s not just any watch, it’s a Rolex. After various incarnations varying in size, from: 26, 31 to 34mm. 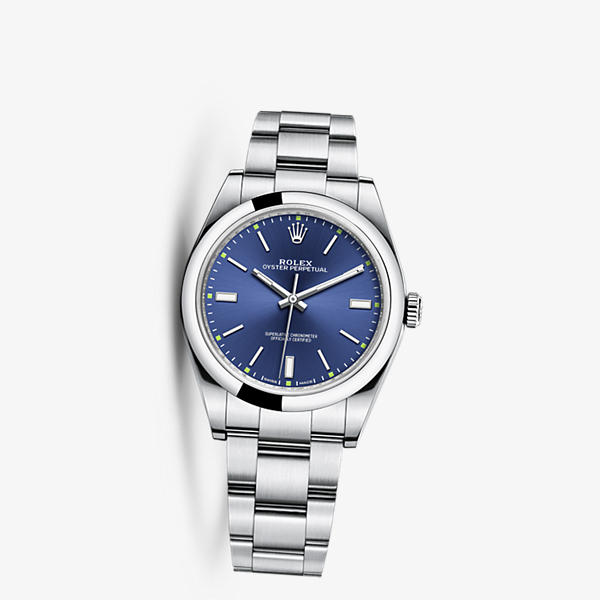 The new 2015 Rolex Oyster Perpetual adds 4 sizes, as possible options. A ladies model with 26mm and 31mm; a unisex 34mm; and the bigger is always better, 39mm edition. The case on this timepiece is a solid 904L stainless steel block with slim integrated lugs, with polished casebands and a brushed flat surface. The bezel is also mirror polished. 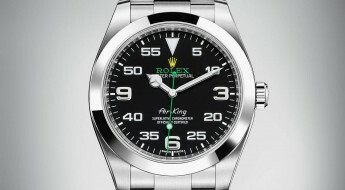 In many ways the Rolex Oyster Perpetual is a simpler version of the “Rolex 39mm Explorer I”. With an automatic movement, three hands, no date and COSC certified. 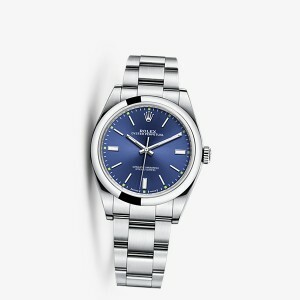 The new Rolex Oyster Perpetual is available in three different dial colors: blue, red grape and dark rhodium. Each dial color adds its own accent color near the index hour markers. The red grape version has red accents, but the other versions mix it up a bit; with blue accents for the grey (dark rhodium) dial and green accents on the blue dial. As subtle as these dial nuances can be, they do make a significant difference by adding color and making the watch come “alive”. 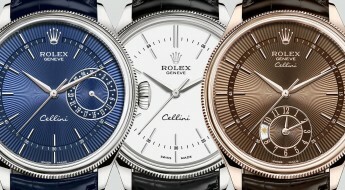 Aside from these highlights, we’re left with a simple, elegant, easy to read: Rolex. Unlike the “Day-Date 40” that was introduced this year with a new movement. 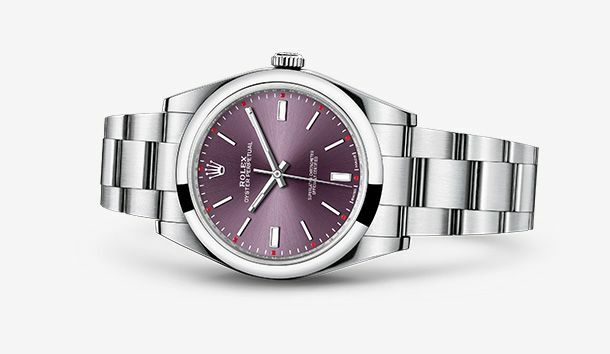 The new 2015 “Rolex Oyster Perpetual” is powered by a bi-directional, self-winding movement, caliber 3132 (just like the “Rolex Explorer I”), with 31 jewels and power reserve up to 48 hours. Also features: Paraflex shock-absorbers and the paramagnetic blue Parachrom hairspring. All three versions of the watch are mounted to a solid 904L steel bracelet with a folding Oysterclasp.